This is a packet of very mixed sizes of sandeels which contains over 20 sandeels inside. Each packet varies in number so there is no set amount of eels per pack. They are approx 3-6" in length and are ideal for Bass and rays etc. 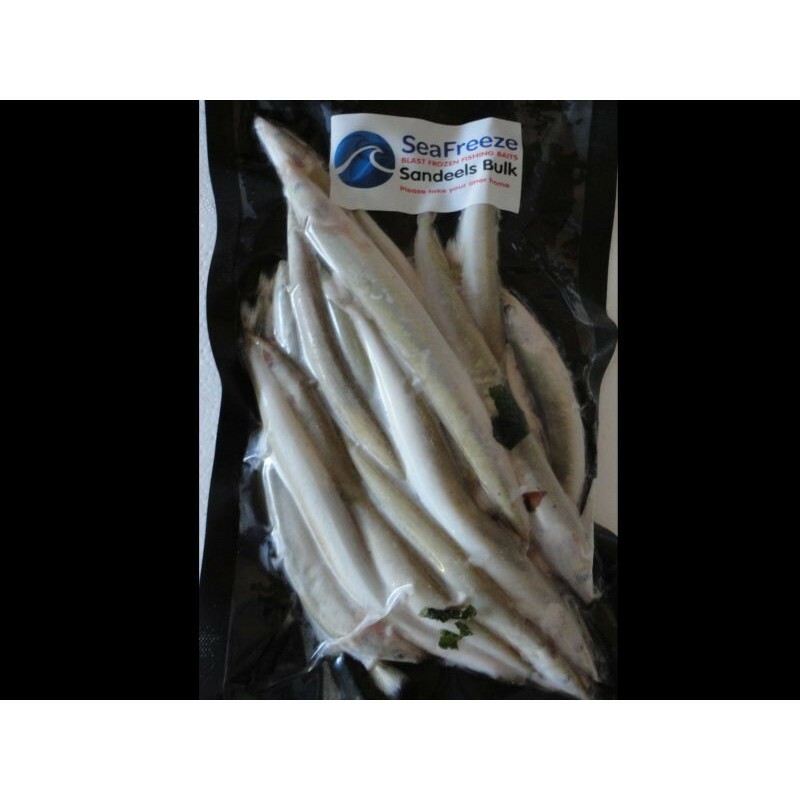 Unlike our small, med and large sandeels they are not all neatly laid side by side, it really is just a bulk packet of mixed eels.